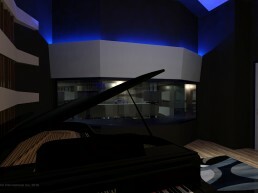 Whiskey Tango | Pilchner Schoustal International Inc. 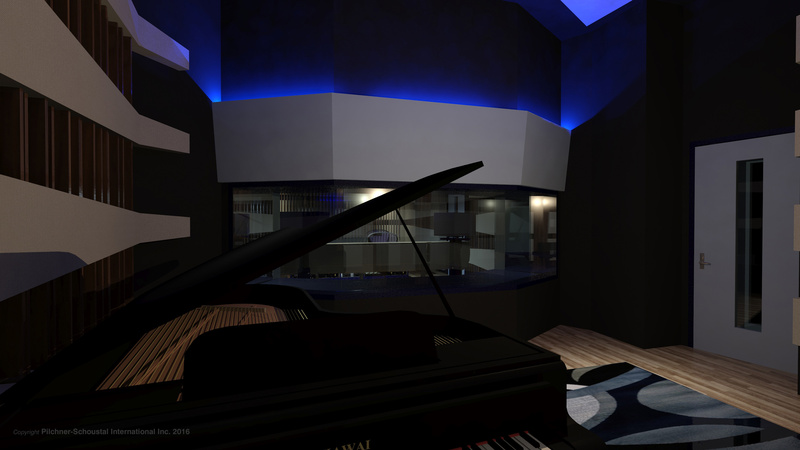 This is the preliminary schematic design of Whiskey Tango, a studio being built in a private residence. 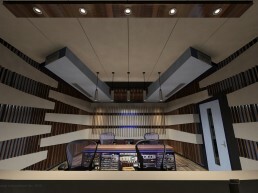 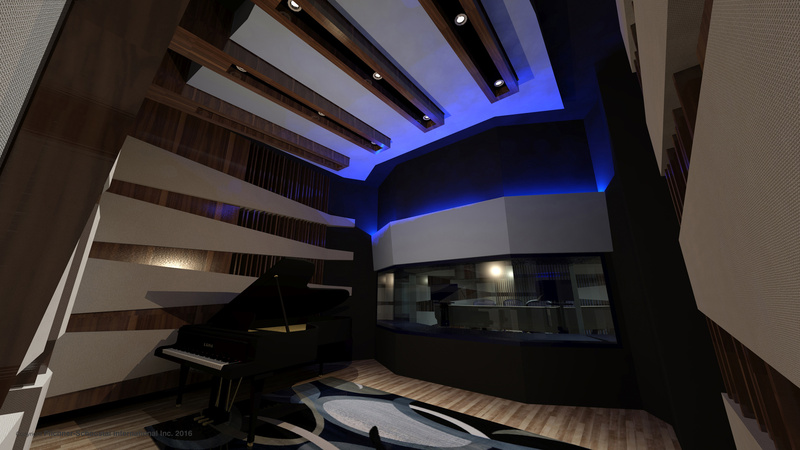 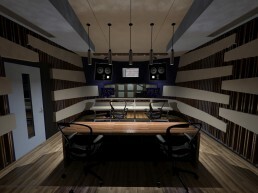 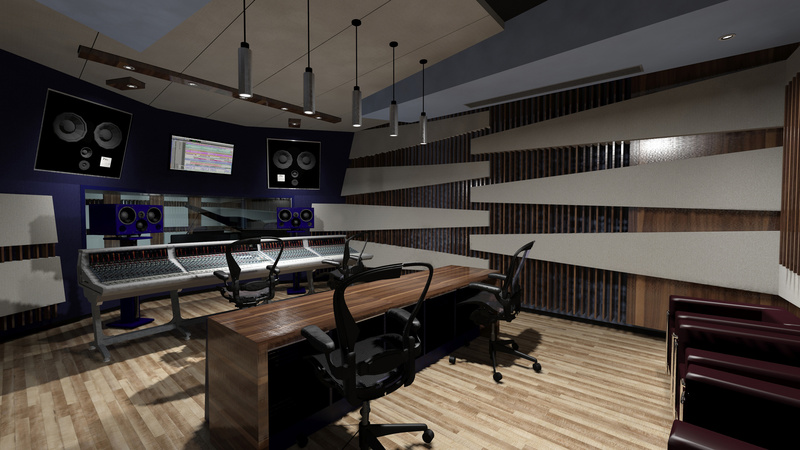 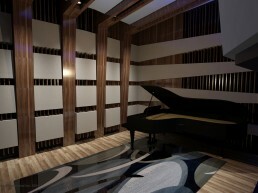 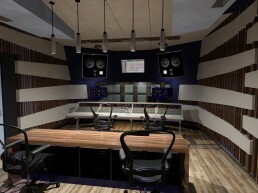 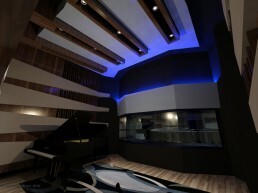 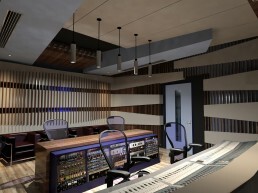 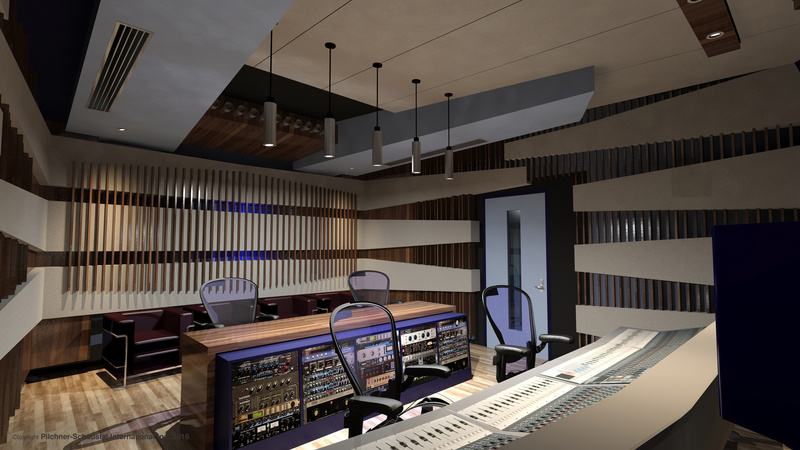 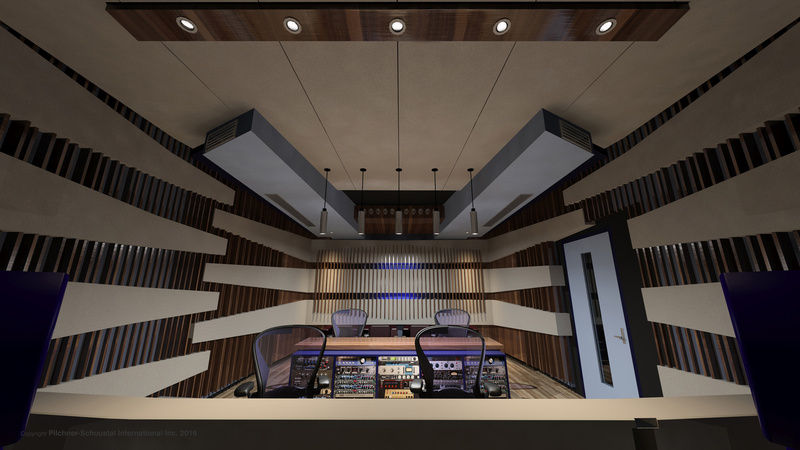 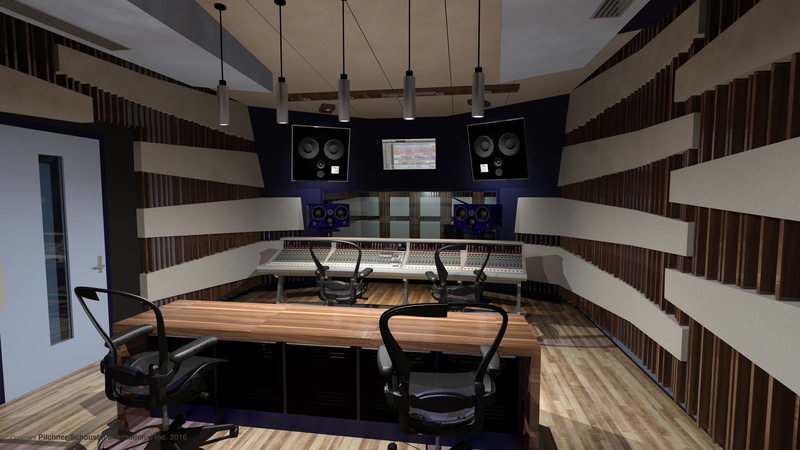 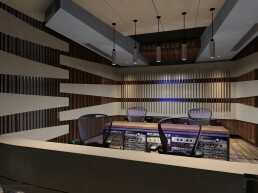 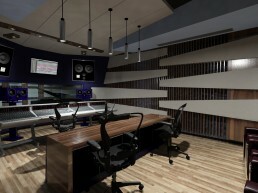 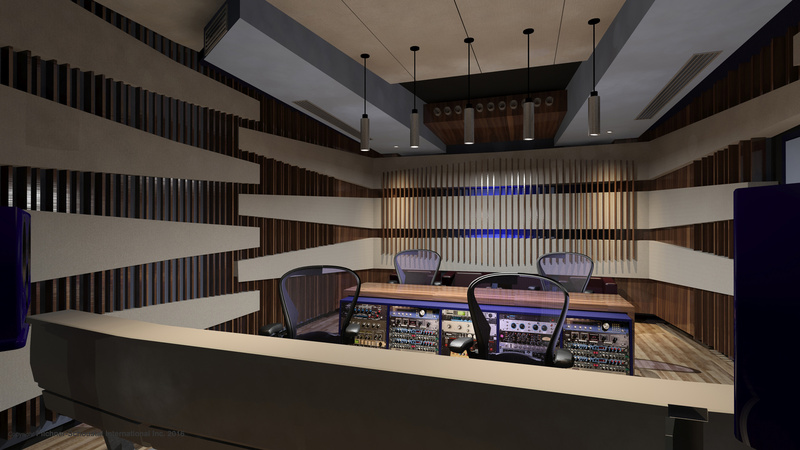 The studio features a stereo control room with a concealed surround system and video projection capable of Dolby Atmos. 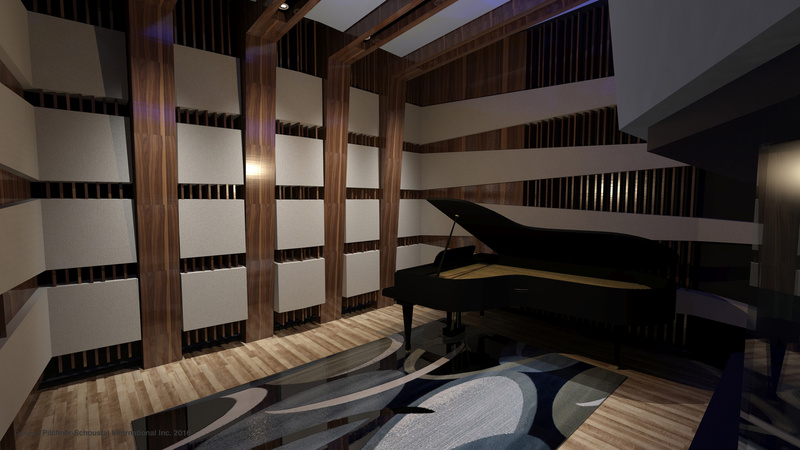 The room features comprehensive low frequency trapping integrated with sound diffusive elements and the requisite specular absorption. 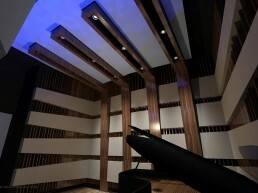 Mechanical silencing bulkheads are floated off of room perimeters allowing strategic placement of low frequency boundary absorption. 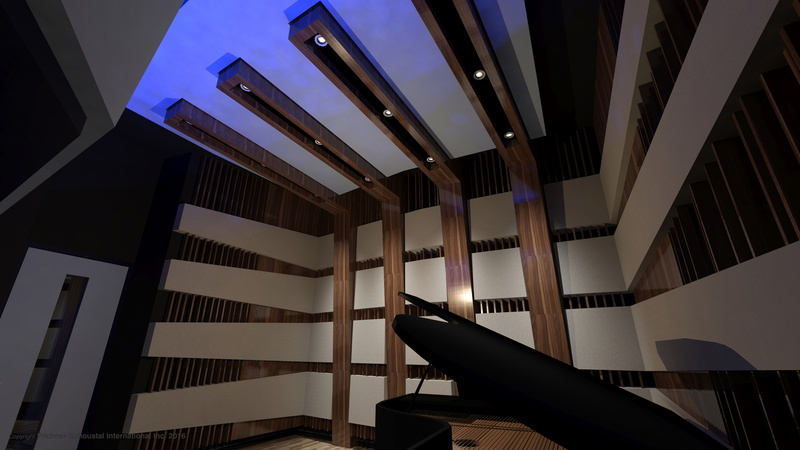 Warm and neutral finishes are accented by a color variable LED lighting system emphasizing the variable depth of the acoustic treatments. 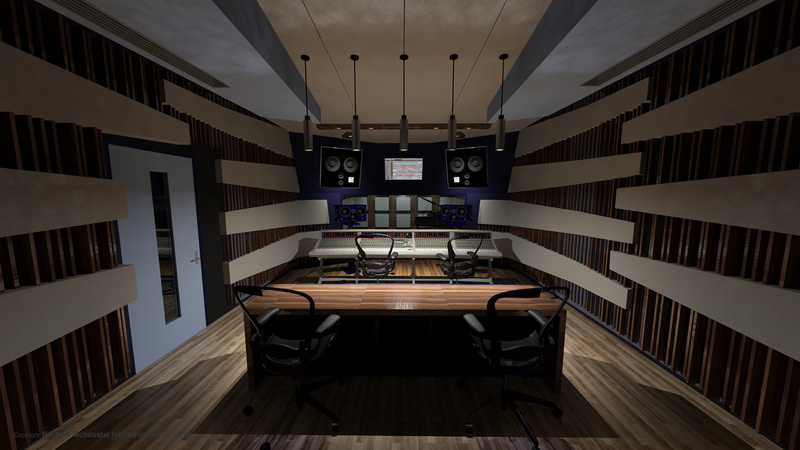 The studio area is mid-sized and functional for a wide variety of recording needs as well as VR testing.